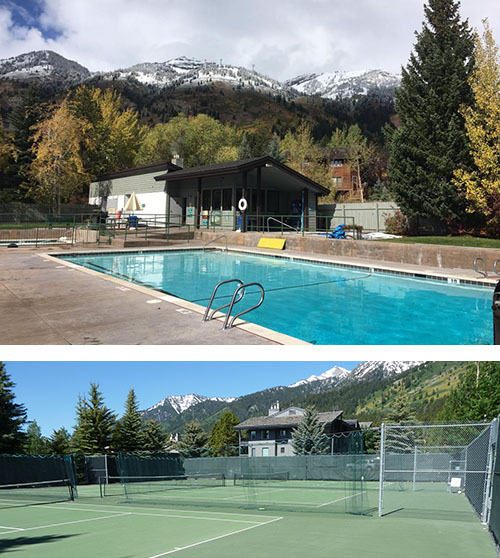 Welcome to Sundance Tennis and Swim Club, Teton Village at Jackson Hole Mountain Resort. This Web site describes the Amenities, Facility Map, and Rules of Club use for condominium-owner members and their rental guests. Find Location and Hours here. Enjoy our Gallery of photos of year-round fun. Please Contact Us anytime if you have questions or suggestions for the Club. The club has opened for the winter season. The winter hours are 2 pm to 9 pm.